It is impossible to appreciate poetry fully without some knowledge of the various aspects of poetic technique. First published in 1953, with a second edition in 1982, this title explains all the usual technical terms in an accessible manner. 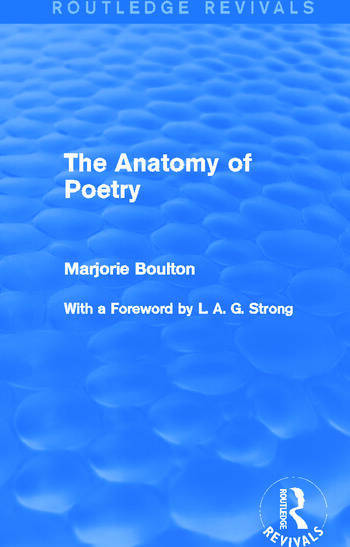 Marjorie Boulton shows that it is possible to approach a poem from a business-like perspective without losing enjoyment. This reissue will be of particular value to students as well as those with a general interest in the specifics of poetry.